In this section we will review searching and filtering a Pandas Series. Let’s begin by creating the Series we will use in the lessons below. The iloc method handles as input a single index or multiple indexes as well as slice notation. # 1) Using iloc for a single index: This example returns the first value of the Series. 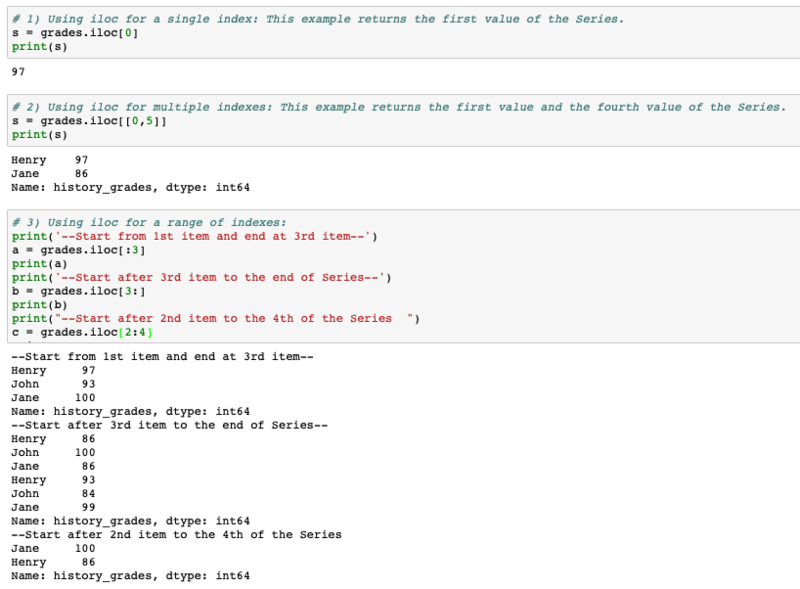 # 2) Using iloc for multiple indexes: This example returns the first value and the fourth value of the Series. 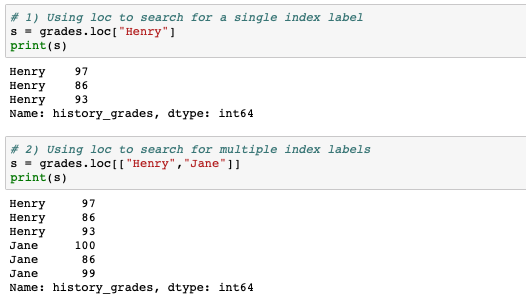 The loc() method takes as input index labels. You can provide 1 label or a list of labels. Series can be searched by value. The where() method filters a series by values using expressions and operators. The isin() method takes a list of values as input. #Filter values using loc to get row values. drop n/a rows.